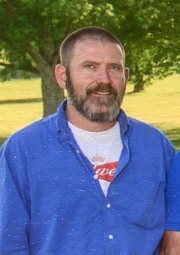 Jason Alan Watson, age 39, of Lawrenceburg, TN passed away Sunday, December 16, 2018. He was a native of Lawrenceburg, TN, a mechanic at Jobber's Supply Service, a volunteer fireman at Crossroads Fire Department, and a member of New Prospect United Methodist Church. Arrangements are being handled by Neal Funeral Home, 231 N. Military Avenue, Lawrenceburg, Tennessee. The family will receive friends from 4:00 PM to 8:00 PM Thursday, December 20, 2018 at Neal Funeral Home. Funeral services will be conducted at Neal Funeral Home at 10:30 AM Friday, December 21, 2018, with Billy Beal officiating. Interment will follow at Choates Creek Cemetery in Giles County, TN. Family suggests memorials be made to God's Storehouse, 425 Frank Street, Lawrenceburg, TN 38464.